The first thing that will come to your attention is our 11 meter long counter with an 8 meter glass case on top for the ingredients. 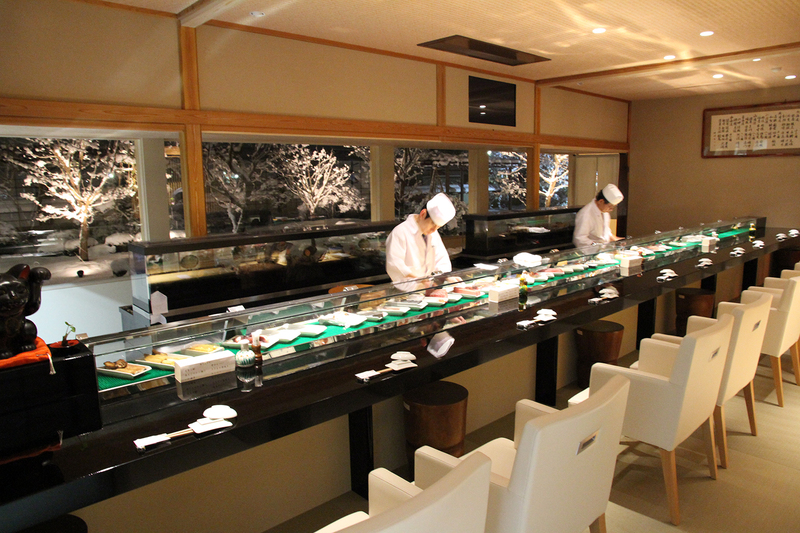 This single plate of 8 meter long glass is unprecedented in any other sushi restaurants in Japan. In addition, there are two 200-liter cooling water tanks behind the chefs. One of them is capable of keeping shellfish as it can be cooled to below freezing temperature. At the far end, there is a beautiful Japanese garden with 10 Japanese maple trees. It is designed to offer enjoyment of the four seasons through the glass window. This luxurious counter can accommodate maximum 10 people, and there is also a reserve counter in the backroom for five people. Please take a look at our famous counter during your visit. We have four different types of private rooms. Three of them are carpeted table seating, and each of the four room is named by one of the Japanese Seven Lucky Gods. The Daikoku room (a room with both Japanese and western elements) is for two to sixteen people (maximum twenty people), The Hotei room (Japanese style) is for two to ten people, The Fukurokuju room (semi-Japanese style) is for two to ten people, and The Ebisu room (Japanese style with horigotatsu (sunken table) ) is for two to six people. 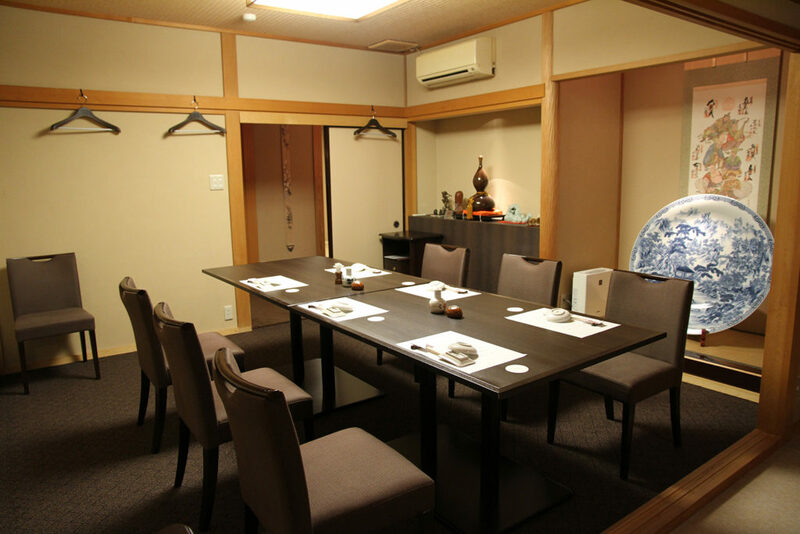 Also, parties with up to 40 people can be hosted by opening the side entrances of the Daikoku, Hotei and Fukurokuju room. 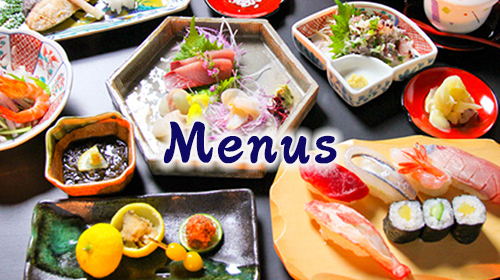 Our restaurant is also available for various events such as workshops, recitals, exhibitions, spot sale fairs, private parties, wedding anniversaries, etc. We are happy to discuss how to host your next event. Looking for lodging? 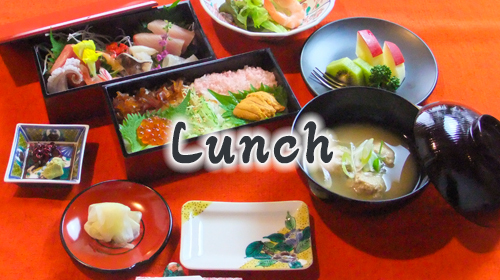 We are happy to recommend a hotel within the Wakura-Onsen area through the Wakura Onsen Tourism Association for one night. Please feel free to ask us. 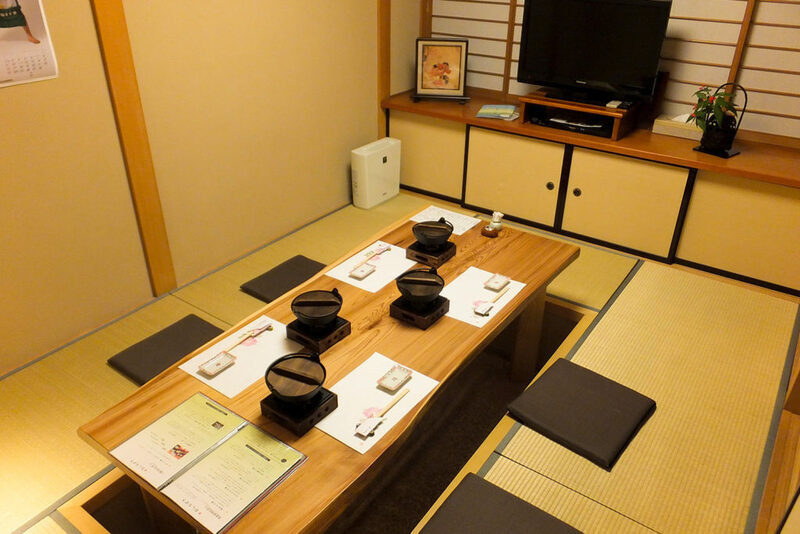 The tatami room is named Ebisu, and it is the only room with horigotatsu (sunken table) in the restaurant. Unfortunately, there is no garden view in the room, but we’ve set up a TV so that you can enjoy your sports or drams which you don’t want to miss. A DVD player and DVDs are also in the room, especially for guests with small children. You can see the entire restaurant.